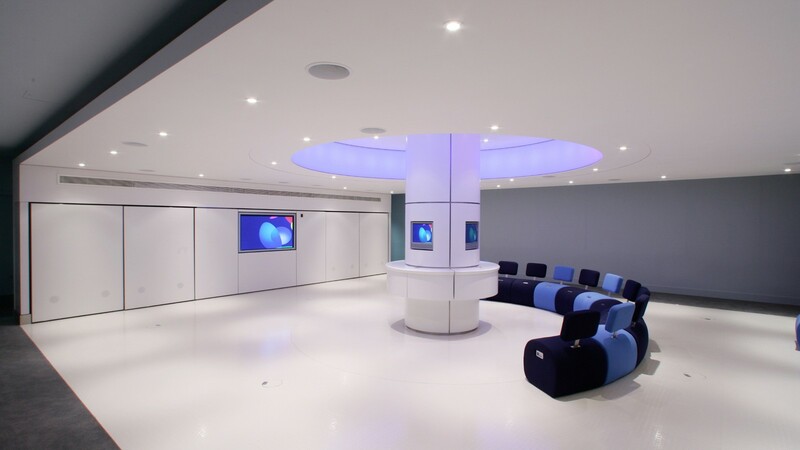 BT Showcase is part of the conversion of Faraday House from a sub-station to the central office of BT Wholesale. The room has been conceived as an animated and highly flexible walk through experience. 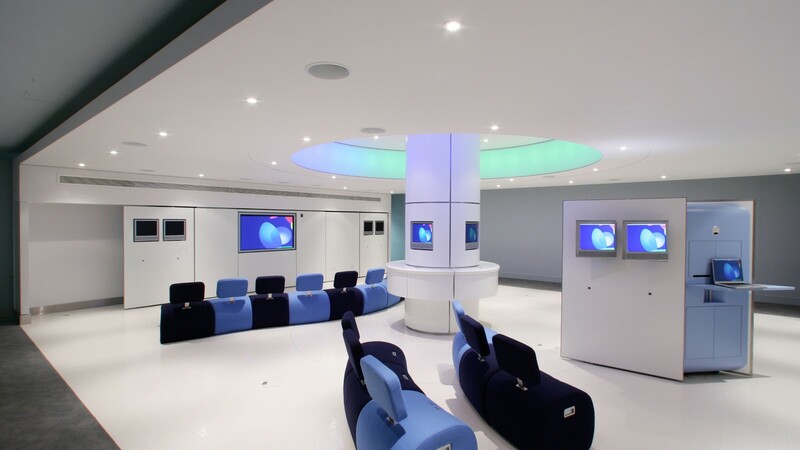 It was designed as a multi-functional “showroom” for the presentation and demonstration of the latest BT products and technologies to top-level clients and investors. 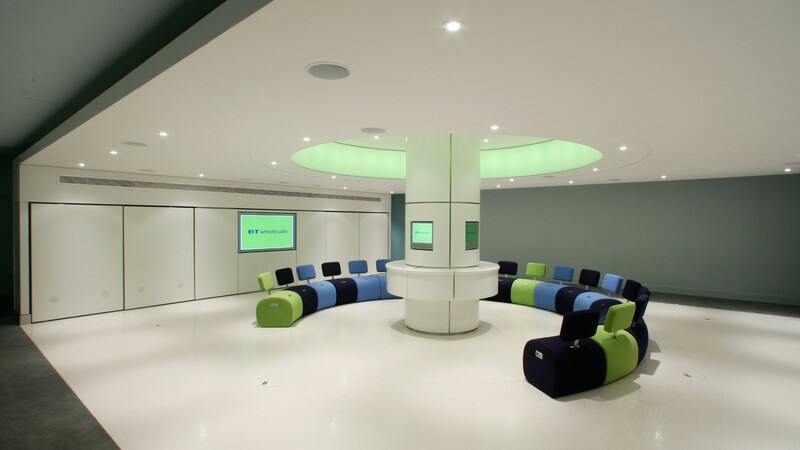 The 150 sqm space is adjacent to the main reception and is used by various divisions of BT, each having their own brand identity. 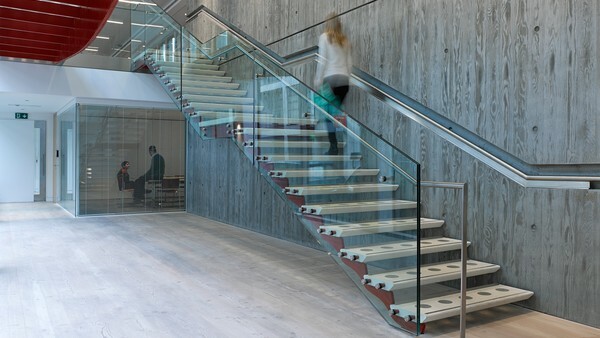 Colour change has therefore been used to simply adapt the space to suit the brand colours of the different divisions, whilst also adding visual interest. 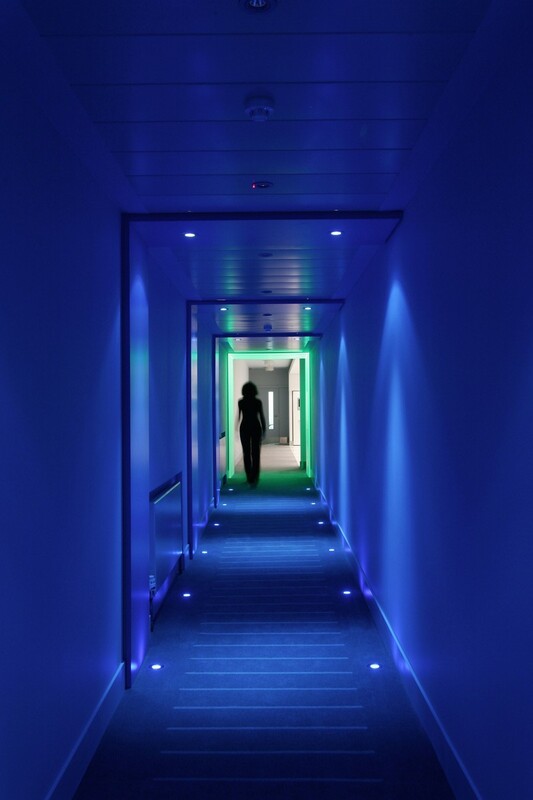 The Showcase is approached via a 15 metre blue lit corridor incorporating a ramp. 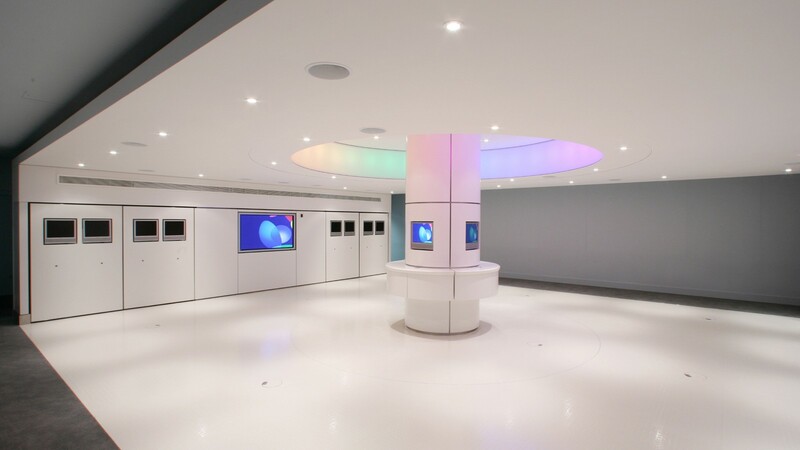 At the end of the corridor is a glowing arch, which changes colour from BT blue to BT Wholesale green, marking the entrance. In the centre of the room is a presentation circle defined by a colour change ring of light above. This can be set to any colour of the BT pallette or animated to gradually and continually change colour in sequence. 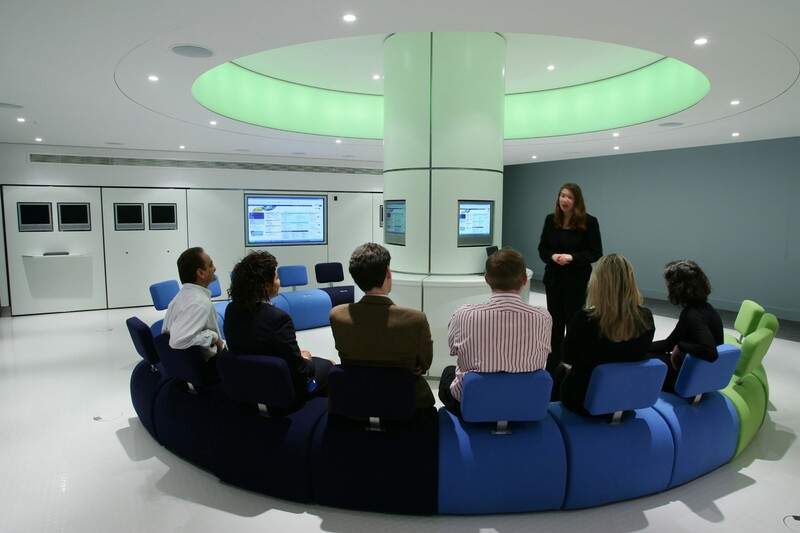 Purpose made seating can either be arranged around the central column for larger presentations, or in front of the wall mounted plasma screen. Four portable demonstration units, equipped with a projector and LCD screens, can be wheeled out into the space from the plasma wall to provide smaller presentation modules.